Lakeland is a registered Wayne Dalton and Chamberlain Liftmaster dealer offering the very best in garage doors and openers. 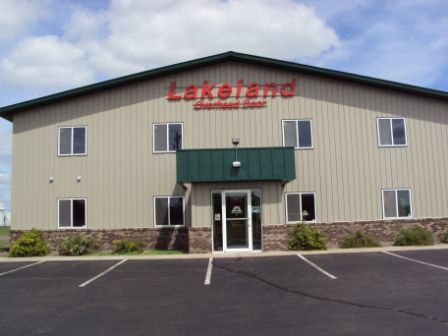 To meet a customer's specific need, Lakeland can assist with many other overhead door options we have available. Keeping in mind with safety and eco-friendly materials, the design, beauty & safety is built in with every product we offer. We have an on-site showroom and will assist you with every step in making a decision that will last with your home. Call to make a free on-site sales appointment with one of our professional, knowledgable salespeople.